If you don't have a program like VLC Media Player or another universal media player, opening some files can sometimes be an issue. 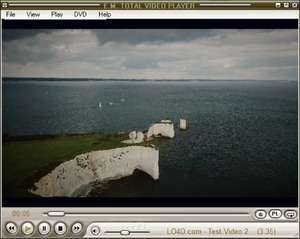 Total Media Player is a program which can playback most audio and video formats without the need for additional codecs or codec packs. The program really is a universal media player, but as it lacks the ability to play movies with external subtitle files, it might not be the all-in-one you're looking for. It also only supports using one audio track so playing a secondary language on a DVD is not possible with Total Video Player. Version 1.31 is a freeware program which does not have restrictions and it's free so it doesn't cost anything. For security reasons, you should also check out the Total Video Player download at LO4D.com which includes virus and malware tests. Additional screenshots of this application download may be available, too.